NEW! Ranch unit on ground level in Howell's Gallery Park! 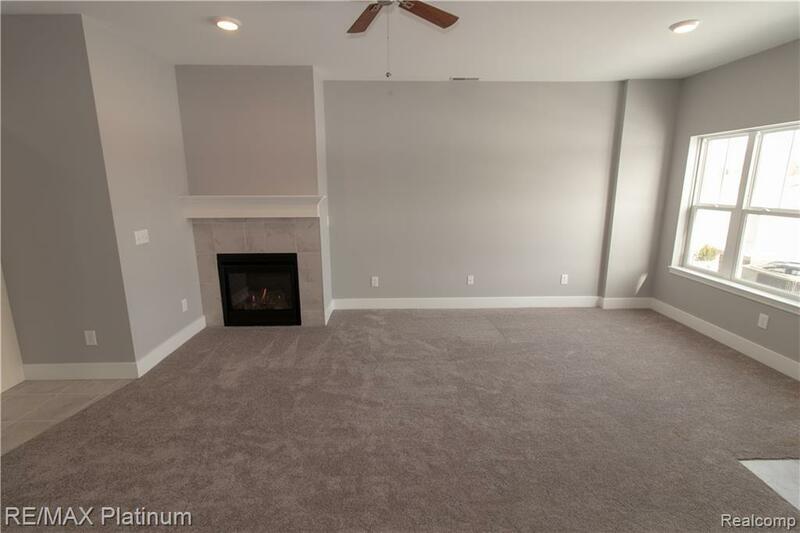 Featuring large master suite with additional spacious bedroom and full bath. Enter though the garage at the back of this unit or through the front door on the east side. 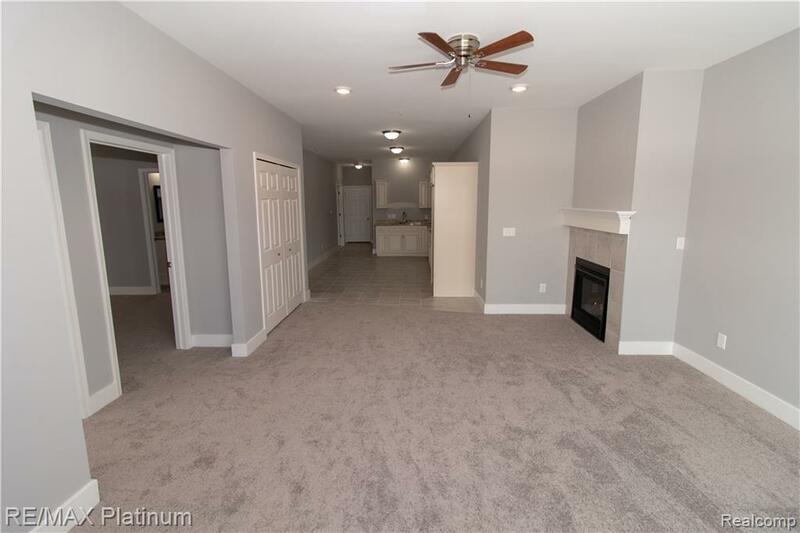 Immediate occupancy, last phase of these units in Gallery Park of Howell. 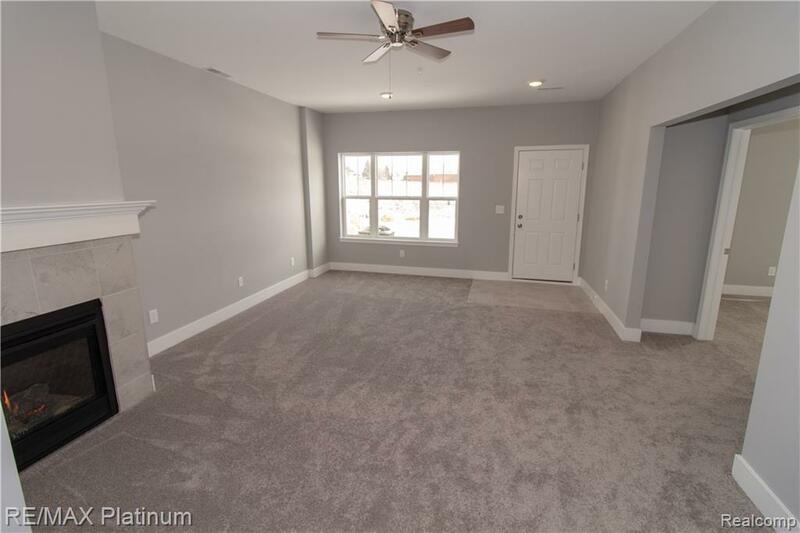 Offering upper and lower ranch units with 2 bedrooms and 2 full baths, gas fireplace, granite counters, soft-close cabinets, high ceilings and ceramic floors in baths and laundry. 1 Car attached garage with direct access to each unit. All upper ranch units have deck and lower ranch units have covered porches. Quality construction in prime location! Located next to Kroger in Howell off M-59. 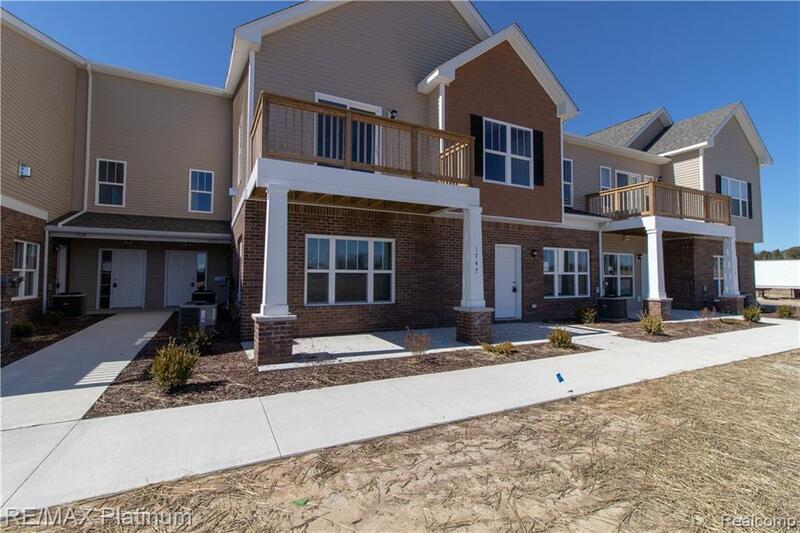 Easy access to I-96, Howell public schools, shopping, hospitals and just 1.5 miles from downtown Howell. Association fee includes trash, water and all grounds maintenance. Taxes to be determined.